WANT TO LOVE YOUR WEDDING? Check out some real Charlotte weddings brought to you by the Charlotte Wedding Bosses. If you need a planner, photographer, caterer, or any other vendor; we have curated the best of the best for you to choose from and be inspired by! Images provided by Bluesky by Cass Bradley. NOT GETTING MARRIED IN CHARLOTTE? The Charlottes Bosses bring the ‘boss’ everywhere they go. Check out our blog for insider tips and beautiful images. The Charlotte Bosses might be local to North Carolina, but their services are available worldwide. 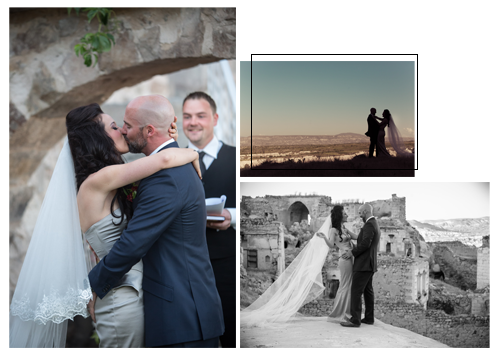 Cass, from Bluesky by Cass Bradley, why she thinks you should ‘pack your photogragher’ when choosing a destination wedding. It features stunning images from a couple who chose to do just that when they got married in Turkey. Selecting talented Charlotte NC wedding professionals just got easier! When selecting any of the Charlotte Wedding Bosses’ team—you can rest assured you will be working with some of the most talented and hard working leaders in the Charlotte wedding market. In addition to connecting you with the your perfect wedding pro team; Charlotte Wedding Bosses also provides quality wedding planning information to couples planning their Charlotte, NC and destination weddings. Header image provided by Critsey Rowe Photography. It can be hard to tell from a website or a phone call which vendors are right for you. That is why, each month, we feature a few of our bosses. You will get a better look at their skills and personality; which we think makes a huge difference when selecting who will be a part of your wedding day. Check out our ‘Featured Bosses’ now! Getting married? Drop us a line to receive a printable list of Charlotte Wedding Bosses and a complementary planning guide!